I blogged about the easy process for putting these necklaces together last year. I used definitions I had cut out of the dictionary. Here is that tutorial. Last year, my friend, Maurine, welcomed son #3 into her life. I had previously bought these little initial charms for her first two little guys at a boutique near me. She likes charms, I like these charms. Win. 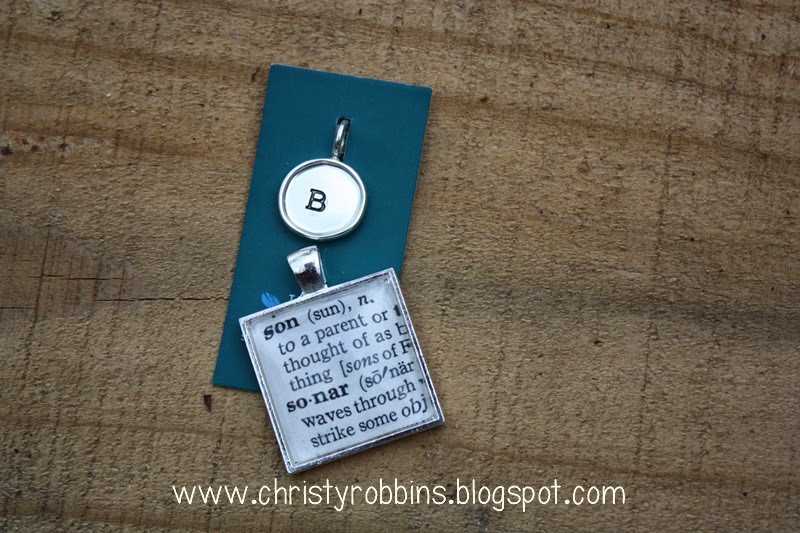 After Bennett joined the crew, I went and bought a B, and I made this little pendant using the word son to add to the charms. Easy, and unique. Win! I also made one for MY Mom and got the initials for my brother and I.